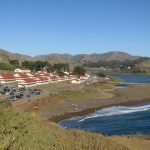 The Marin Headlands, also known as the Golden Gate National Recreation Area, are one of the most spectacular wild spots within proximity to a major city that we’ve experienced. 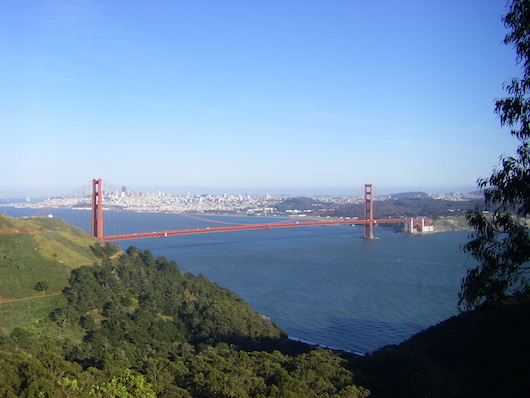 Just over the Golden Gate Bridge, the Headlands are a hilly area of roads and trails with great views of the bridge, bay, and the city. It’s what you see on the left as you’re crossing over the Golden Gate Bridge. There’s a huge variety of options for running here. We’ve provided a few recommendations below. Note that the main vehicle roads do not have a shoulder in sections, although in most areas are not heavily trafficked. Trail running here offers huge variety and mileage but can be challenging and remote — be aware of coyotes and mountain lions. 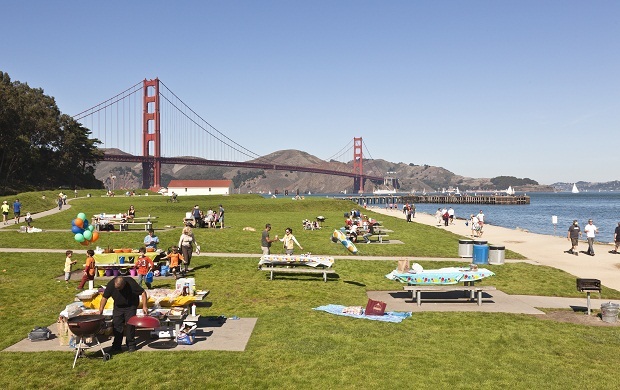 The park of the Headlands closest to the GG Bridge are really hilly, but there are some good, flat running options at Rodeo Beach and on the Tennessee Valley. Conzelman-Bunker Loop. 5.5 miles, 800 ft. elev. gain. This is a good opportunity to do a loop of some of the most spectacular sections, starting from Vista Point over the GG Bridge. Combination trail and road, can be done in either direction. In our map, run out the SCA trail right off Conzelman Rd., near Vista Point. Then connect to McCullough Rd. & Bunker Rd. At the intersection with the the Coastal Trail, take the trail back, and then Conzelman Rd. a the rotary. This is a hilly run – 800 feet of elevation gain, with grades of up to 10%. Note: we take the SCA trail because pedestrians are not allowed in the Bunker Rd. tunnel. 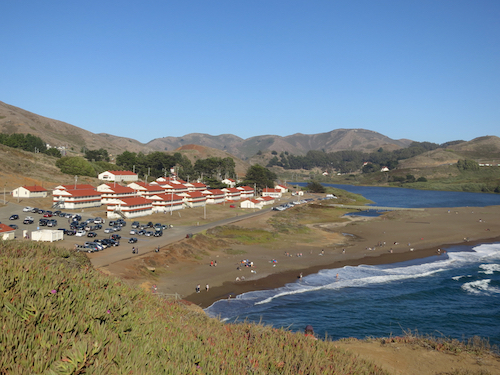 Rodeo Beach Area. If you have a car and want some flat, lovely running, drive to Rodeo Beach. You can do the lovely 1.5 mile loop around Rodeo Lagoon, and enjoy some of the flatter roads and trails in the area. Great ocean views. Ample parking.